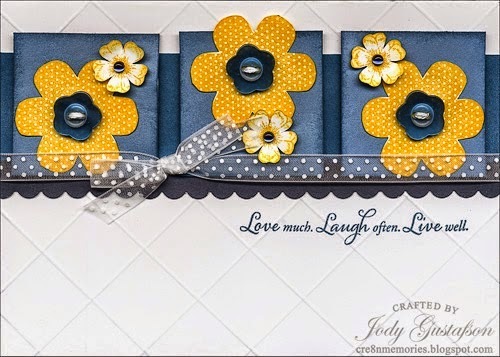 Color Dare Diamond: Jody Gustafson with a very cute and flowery card. 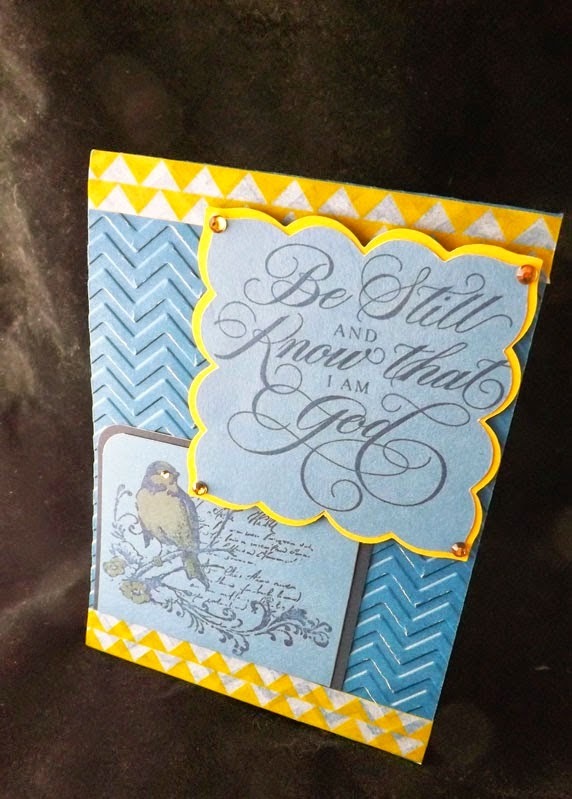 Our Emerald Winner is Joy and her beautiful and inspirational card. The Ruby Winner is Lisa Barefoot and her cute birthday card. Congratulations to Jody, Joy and Lisa. 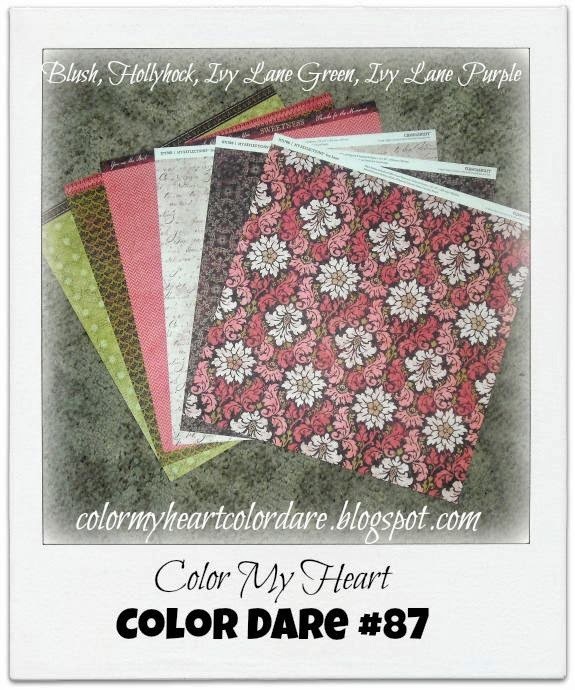 Pick up your Winners Badge from the tab "Blog Badges" at the top of the Color My Heart Color Dare. 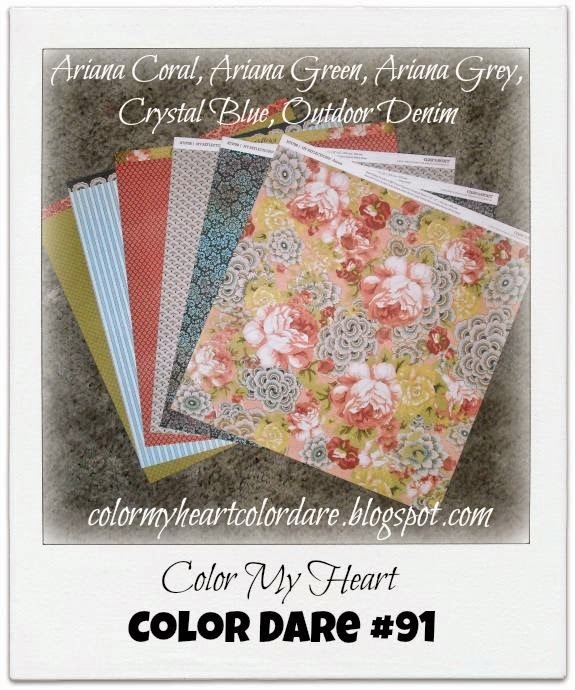 Don't forget, there is still time to join us in Color Dare #91: Crystal Blue, Outdoor Denim, Ariana Green, & Ariana Coral! 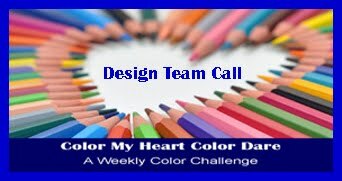 Make your creation, post it to your blog and then link to our Color Dare! 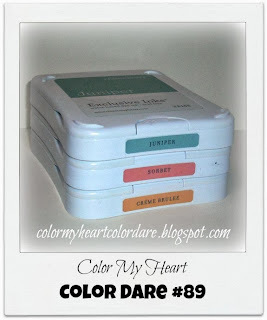 You have until Thursday before Color Dare #91 closes. Each Friday a new Color Dare is posted. Howdy everybody! Welcome to the Color Dare! 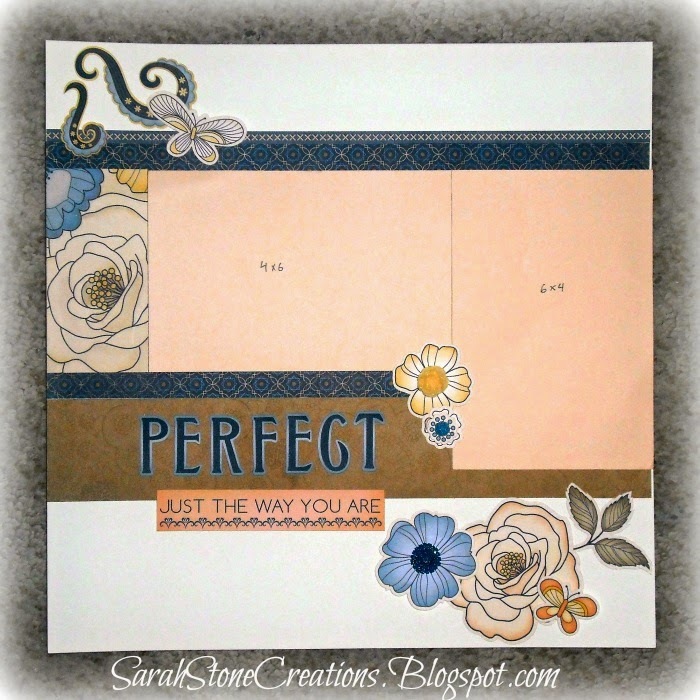 This week, we have some colors from one of Close to My Heart's new paper packs, Ariana. Now, these colors include some that are exclusive to this paper pack. Don't worry if you don't have this pack, just use something similar. Try Sorbet or Blush for Ariana Coral, Sweet Leaf for Ariana Green, and Black is similar to Ariana Grey. I made a level 2 layout using the Dimensional Elements Complements. You can read more about it on my blog. 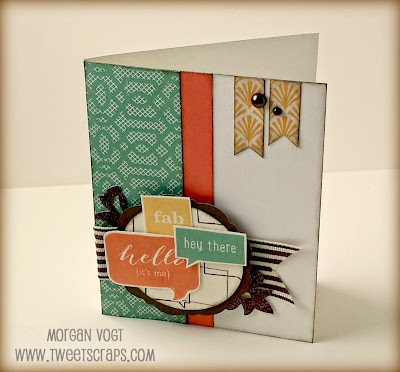 Our guest designer this week is a former Design Team member, Amie Kiger! 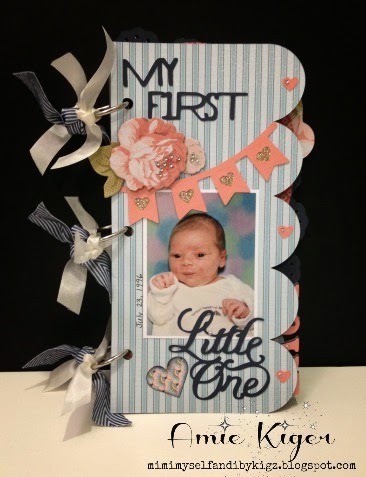 She made this cute album for this cute little baby (I love all things babies right now)! Now it's your turn! Make a project using the featured colors. If you don't have the exact colors, just use the closest you have. 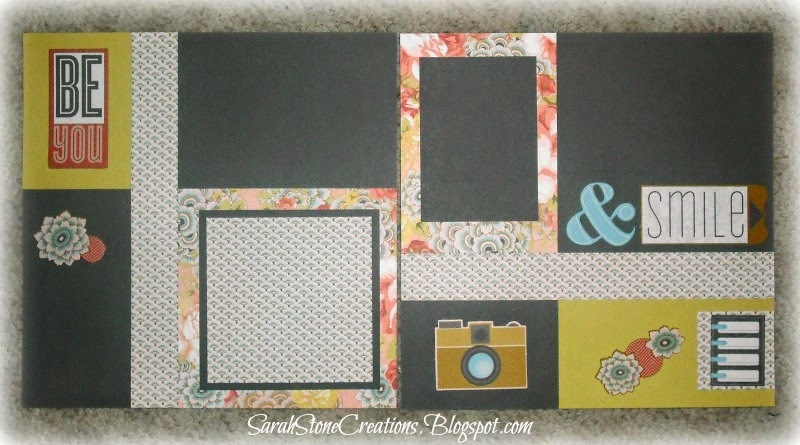 Take a photo of your project and upload it to your blog. Include a link to us and our challenge photo in your blog post. Link your post (not your blog in general) up at the bottom of this page. Most importantly, don't forget to have fun! Please read the sidebar for complete challenge rules. The colors for Color Dare #89 were Juniper, Sorbet and Creme Brulee. Thanks to all who entered last week--you all created wonderful projects with these three colors and it was hard to select winners! 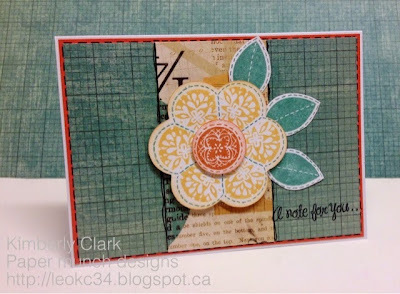 The Emerald Winner is Kim with her wonderful flower card made with the Art Philosophy cartridge (you could get this free this month by signing up as a Close To My Heart consultant!) 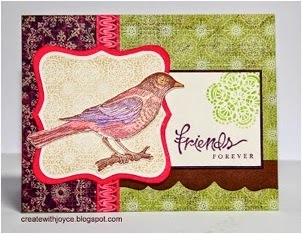 and Just for You stamp set. Congratualtions to Morgan, Kim and Cat! 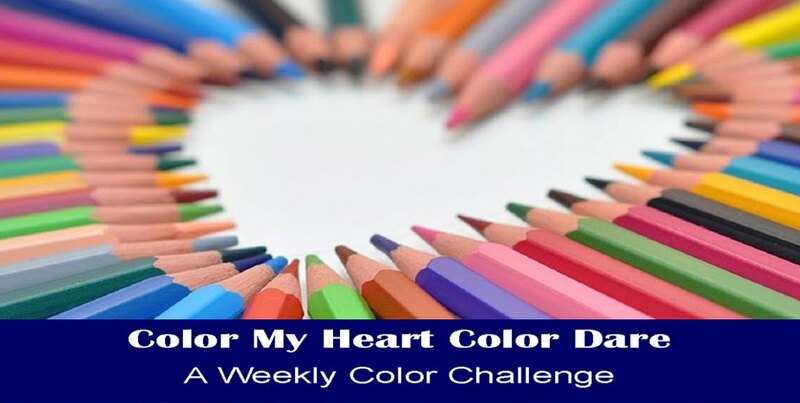 Please pick up your Winners Badge from the tab "Blog Badges" at the top of the Color My Heart Color Dare. 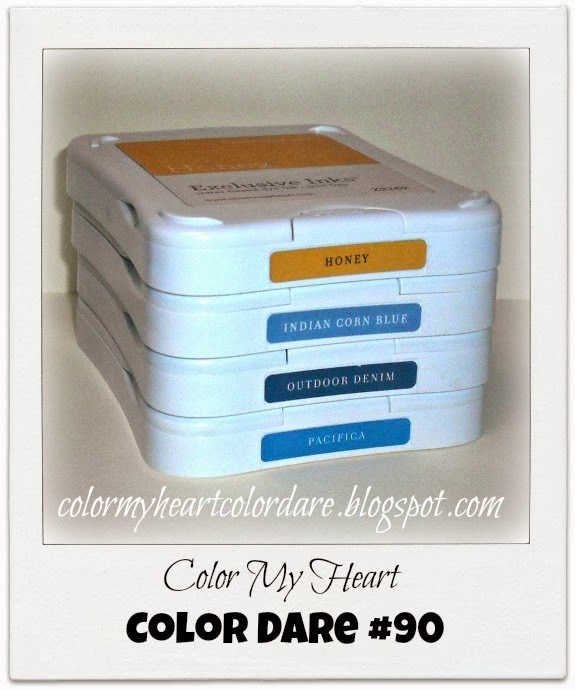 There is plenty of time to join us for Color Dare #90! Colors are: Honey, Indian Corn Blue, Outdoor Denim and Pacifica. (If you don't have these exact colors it is OK to substitute similar colors.) The challenge closes Thursday April 24 at 9:00 PM CDT. We'd love to have you join us! 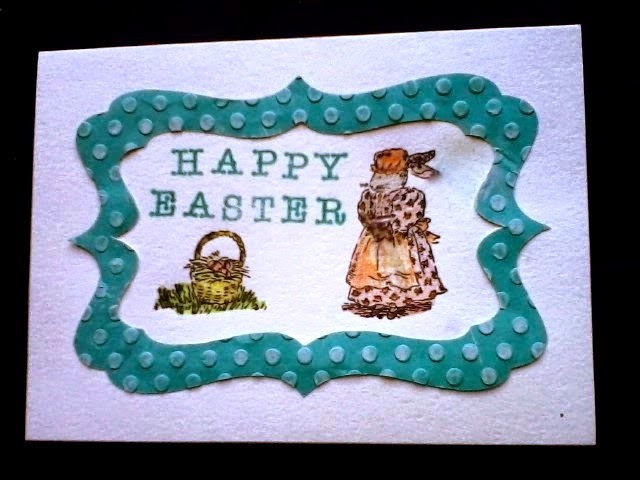 I created a layout using the retired Pemberly paper pack and My Stickease. My neutrals are Parchment, Desert Sand, and Colonial White. You can read more about it on my blog. 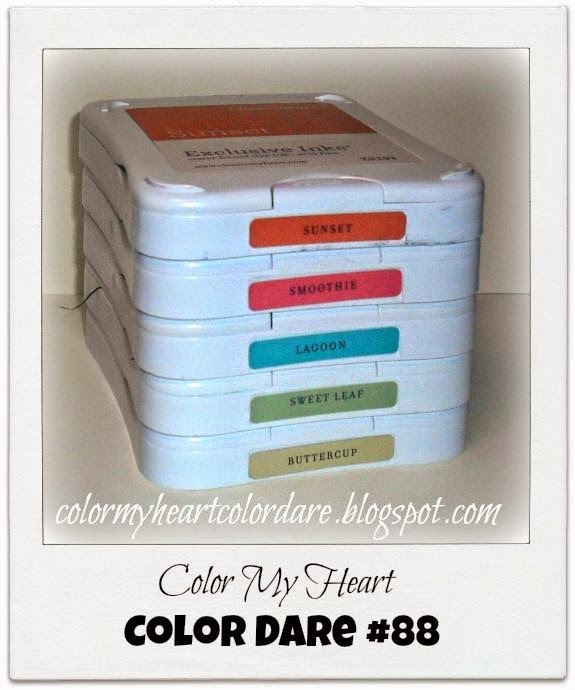 The colors for Color Dare #88 were Sorbet, Smoothie, Lagoon, Sweet Leaf and Buttercup. Having 5 colors to use in your projects was definitely a challenge! But the submissions were fantastic and you all did a great job! Katrina's adorable bunny box! 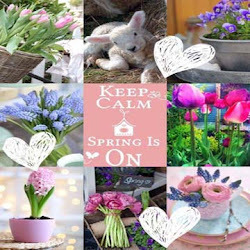 It's beautifully decorated with flowers and gems. Sorry, Katrina, but I couldn't get a picture to work for this post. 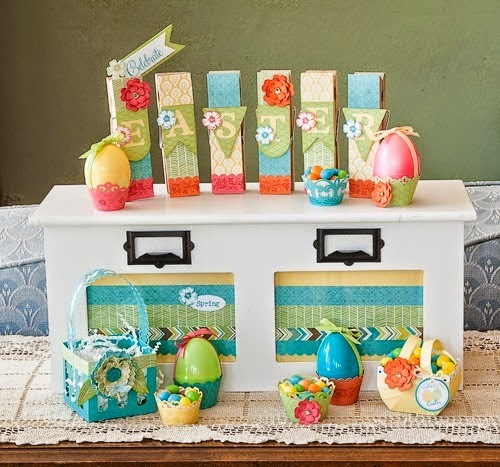 The Emerald Winner is Jody with her fantastic Easter Display! 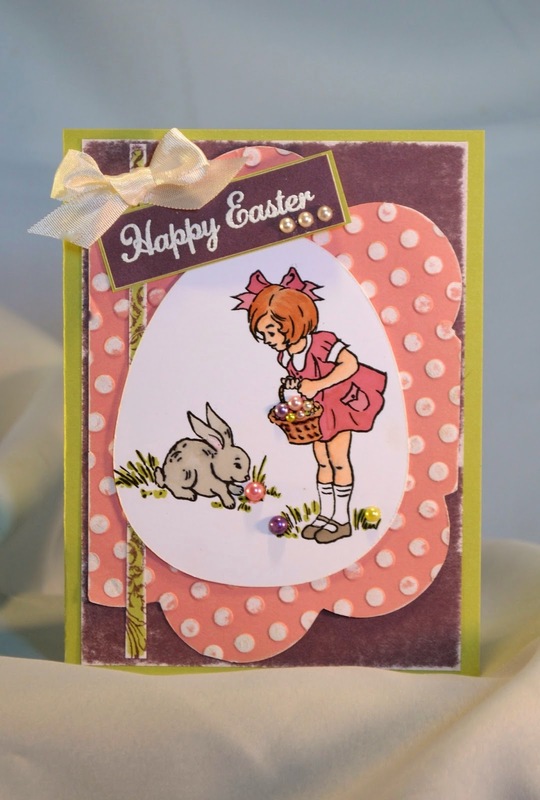 The Ruby Winner is Brenda and her adorable Easter card. Congratualtions to Katrina, Jody and Breanda! 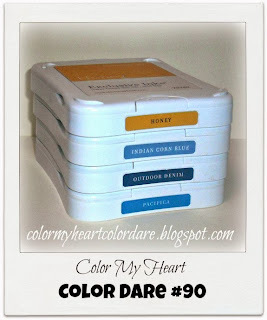 Please pick up your Winners Badge from the tab "Blog Badges" at the top of the Color My Heart Color Dare. 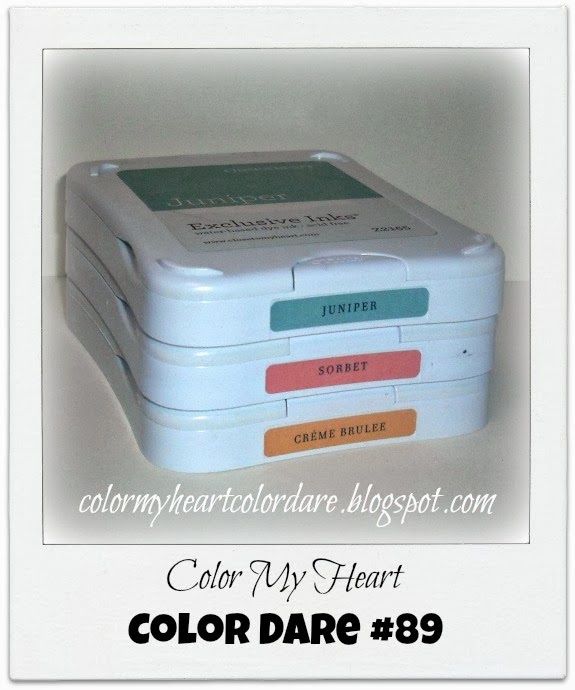 There is plenty of time to join us for Color Dare #89! Colors are Juniper, Sorbet and Creme Brulee. The challenge closes Thursday April 17 at 9:00 PM CDT. We'd love to have you join us! I made a birth announcement for my new little one using the retired paper pack, Perfect Day, plus a little Crème Brulee ink and cardstock. You can read more about it on my blog. The Ivy Lane paper pack—Blush, Hollyhock, Ivy Lane Green and Ivy Lane Purple. 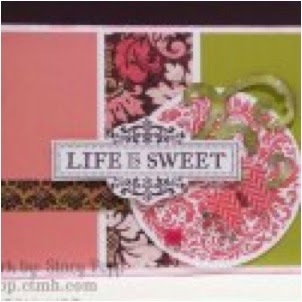 The Emerald Winner is Stacy Popp with her Life is Sweet 3 paneled card. Congratulations to Joyce and Stacy! Please pick up your winner's badges from the tab "Blog Badges" tab at Color My Heart Color Dare. This week's Color Dare involves 5 bright colors! Sunset, Smoothie, Lagoon, Sweet Leaf and Buttercup. Come see what our fabulous Design Team has created for this challenge. It's time to announce our random prize winner for MARCH! Do you recognize this beautiful card? Yes, it's yours Katrina! Congratulations! You are the winner for MARCH 2014! Please send me your mailing address at: stamplady@kc.rr.com. We'll get your prize in the mail asap! Hey everybody, sorry this post is late! I was kept up most of the night with my new little one. She has the start of an ear infection and she's only 4 days old! Poor thing. 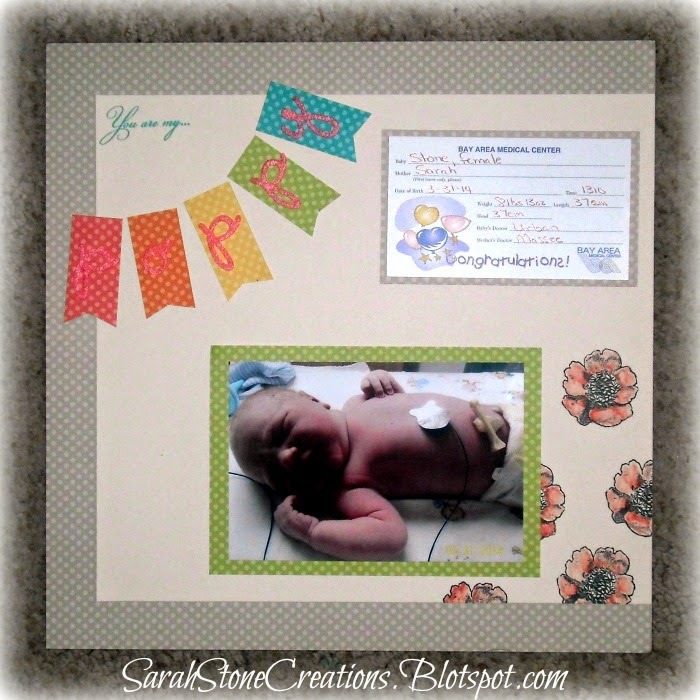 I made a layout of my new baby girl using the Dotty for You paper pack (perfect for this combo, if you have any left! ).